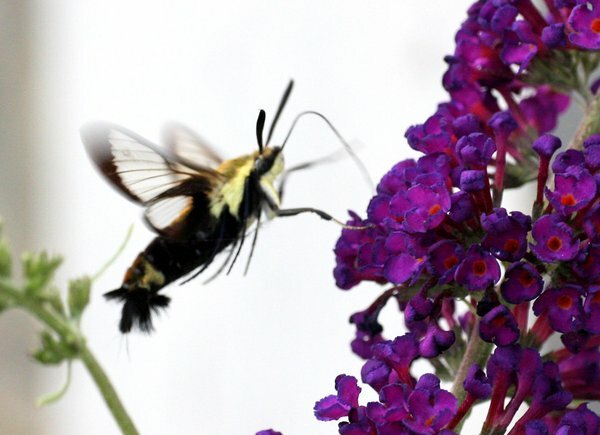 We saw this hummingbird moth outside the Meadowlands Environment Center in DeKorte Park this afternoon around 1:30 p.m.
By the time we got our video camera, it was gone. For now. Click "Continue reading for a few more photos. Believe it or not, the monarch butterfly migration is already underway to our north. 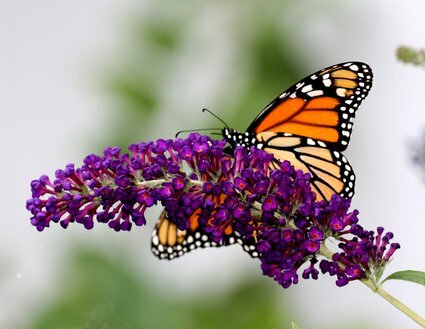 Although the monarchs of the Meadowlands won’t be heading out any time soon, the Journey North Web site reports that observers in Ontario have already seen butterflies "traveling in clear directional flight." Starting next week, you’ll be able to participate in a nationwide citizen science project that tracks the monarchs’ migration.